Royal Caribbean’s Symphony of the Seas, the world’s largest cruise ship which made her North American debut for Caribbean sailings out of RCL’s new PortMiami Cruise Terminal on November 17, features game-changing duty free shops designed by Starboard Cruise Services. Starboard has custom-designed the onboard Royal Shops in a three-deck high shopping arcade covering almost 8,000 square feet. 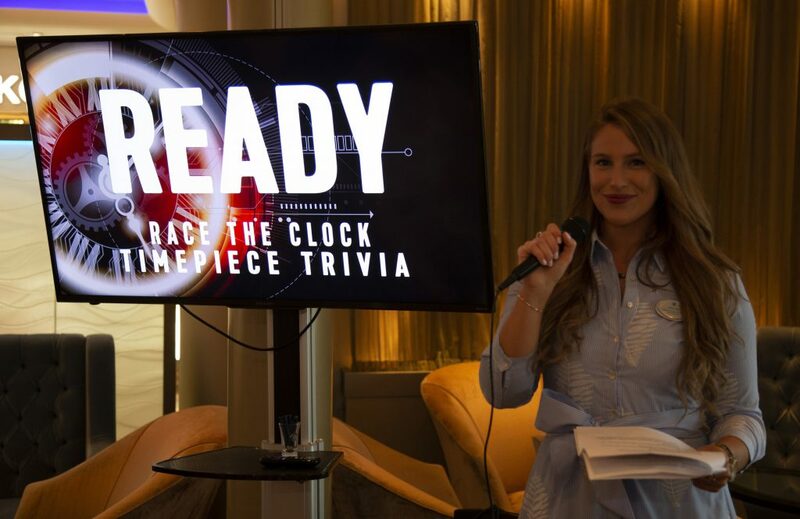 Aligning with Royal Caribbean’s adventurous approach to discovering and exploring the world, the Royal Shops invite guests to: “Rock Your Look” with jewelry, “Be Bold” with timepieces, “Be Daring” with beauty, “Stand Out” with accessories, and “Mix It Up” with fine spirits. 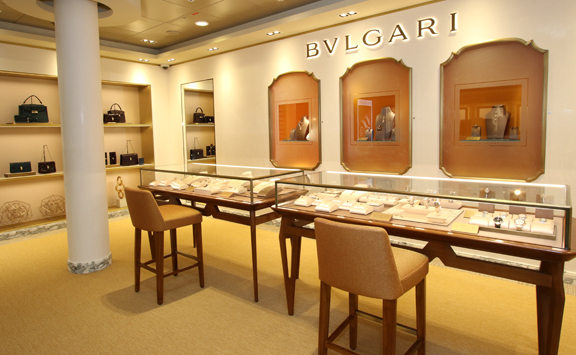 The Royal Shops are located on decks 5, 6 and 8 and include stand-alone boutiques for luxury timepieces from BVLGARI and Hublot, as well as a Cartier Espace. Other shops include Regalia: Fine jewelry and time-pieces, Solera: Beauty and fragrances, Port Merchants: Spirits, The Shop: Exclusive Royal Caribbean gear and Surf Shack: Surf-inspired apparel and sunglasses. 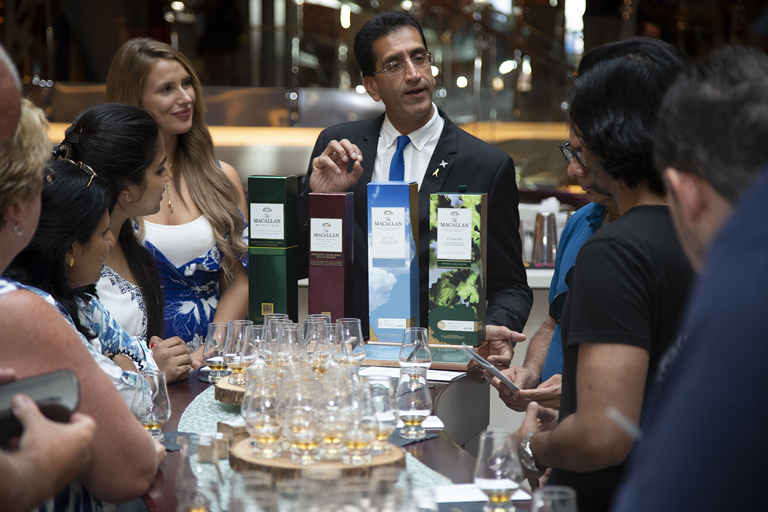 Beyond shopping for treasures, “Shop Royally” invites passengers to join interactive experiences including makeovers, trunk shows, jewelry making, spirits tastings and pop-up promotions. Rising Tide Watch Event: guests are invited to the Rising Tide Bar where they can learn more about Swiss timepieces. Rock Your Look: Guests learn about diamonds and other ‘hot rocks’ while jamming to the latest music hits. Lead the Way in Le Vian Jewelry Fashion Show: Guests get to try on red carpet-like Le Vian jewels and get their own photo snapped. Truth or Dare Beauty Challenge: Guests learn essential truths about cosmetics and fragrance and dare to try something new. Find Your Fragrance: Guests discover the signature scent that works best for them. “Symphony of the Seas inspires boundless adventure, and it was our mission to capture that same spirit in retail,” said Beth Neumann, Starboard Cruise Services President and CEO. Starboard is a long-standing retail partner to Royal Caribbean, operating on nearly every ship across the fleet. 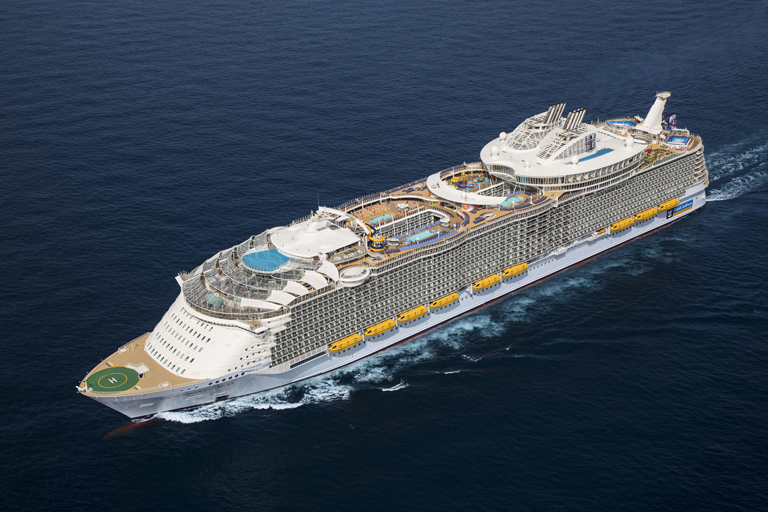 Starboard will launch a new lineup of shops on the cruise line’s highly anticipated mega-ship Spectrum of the Seas, scheduled to sail in 2019.